SoundCloud is closing its offices in London and San Francisco as it axes 40% of its workforce in a dramatic cost-cutting move. 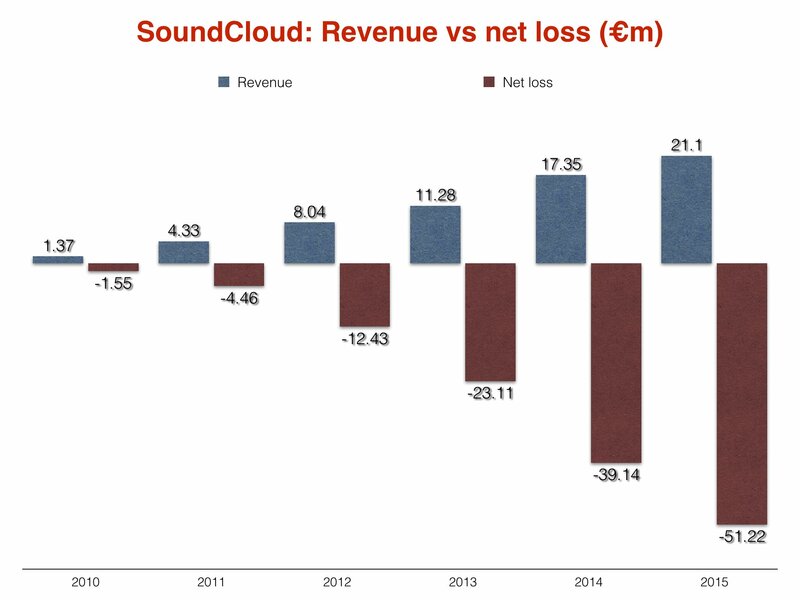 The last available annual accounts for SoundCloud are for 2015, when revenues were up 21.6% to €21.1m ($22m), but net losses accelerated 30.9% to €51.22m ($52m). When these figures were filed in January, SoundCloud CEO and co-founder Alexander Ljung noted that the company may “run out of cash” before the end of 2017 if it could not secure further financing. Recent rumors have suggested that Deezer – majority owned by Len Blavatnik’s Access Industries – could acquire SoundCloud in the coming months. “We need to ensure our path to long-term, independent success,” Ljung said in a blog post today. He commented that the business has doubled its revenue over the past 12 months – but didn’t reveal what has happened to losses. SoundCloud has lost at least four key senior staff members this year alone. In May it said goodbye to Chief Content Officer Stephen Bryan, who left to join his former Warner colleague Lyor Cohen at YouTube. Bryan’s departure came three months after SoundCloud split with its COO Marc Strigel and Finance Director Markus Harder. It also lost General Counsel Neil Miller this year, who left to join JAG Shaw Baker – and was replaced by Merritt Farren.